Girl Kuripot Girl Kuripot: The Ultimate Girl Kuripot Winner for 2013 and the Girl Kuripot Winners Circle! The Ultimate Girl Kuripot Winner for 2013 and the Girl Kuripot Winners Circle! Our Ultimate GK Winner this year 2013 is Anne Adona of Caloocan!!! She won my 2013 Polecats Manila Stellar on Broadway Giveaway. You will receive a package filled with goodies from my trips and some sponsors. Here were our other contenders for this year's Ultimate Girl Kuripot Contest (arranged by submission date). 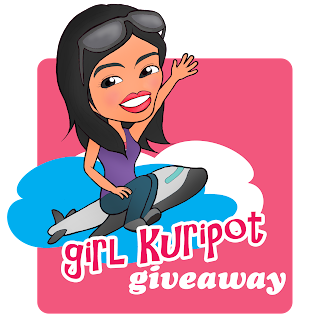 They are all GK winners (men included) from all over the Philippines =) Check out the Girl Kuripot Winners Circle Album for their stories! Ronalyn of Cavite won a slot on the Wiki Korea Tour! Thanks a lot for your generosity, Melody! You have my continued support. You are one lovely, smart, interesting, caring, super awesome blogger! Wishing you more exciting adventures!! hello, im james cubelo. sorry for the late response. just got home from province..